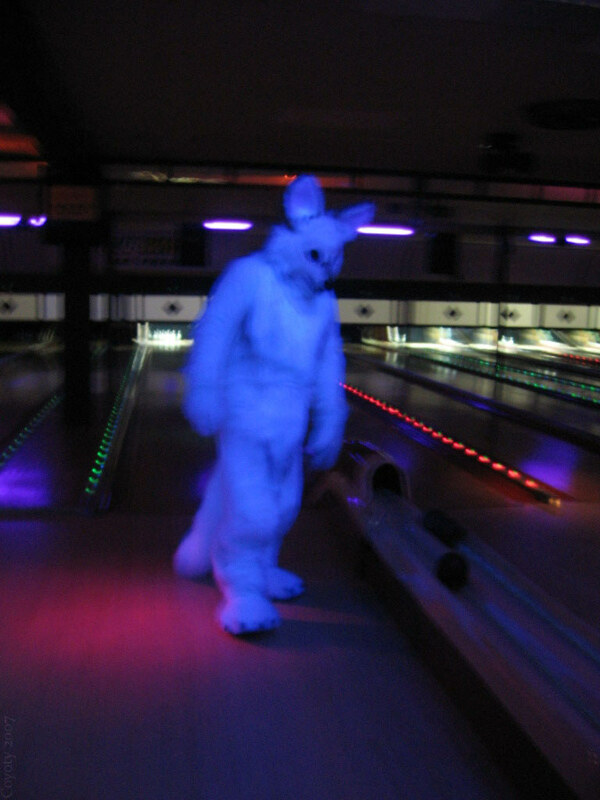 A ghostly Wildwolf haunts Johnson's Duckpin Lanes in Hamden, CT in a spirited one-piece werewolf ensemble. Wildwolf shows that if you're going to be an apparition, you can do better than manifesting in a plain sheet. Unless you're Mr. Boo. He can look good in any linen.